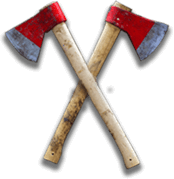 Cigar Bar | Twin Peaks Restaurants - Eats. Drinks. Scenic Views. 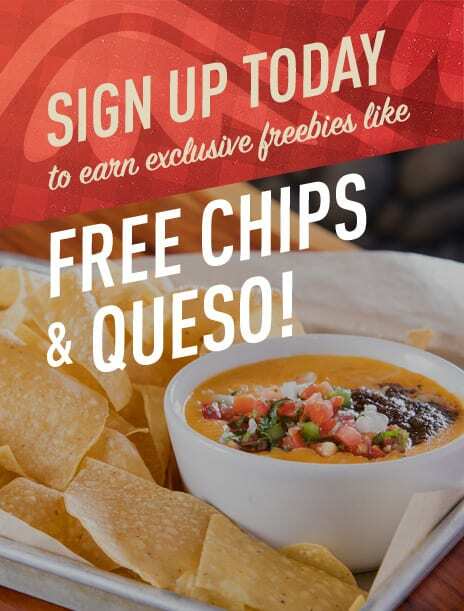 At Twin Peaks, you’re encouraged to indulge in every manly escape we have to offer. And, sometimes that means slowing things down to enjoy a nice, smooth cigar paired with a classic whiskey cocktail. 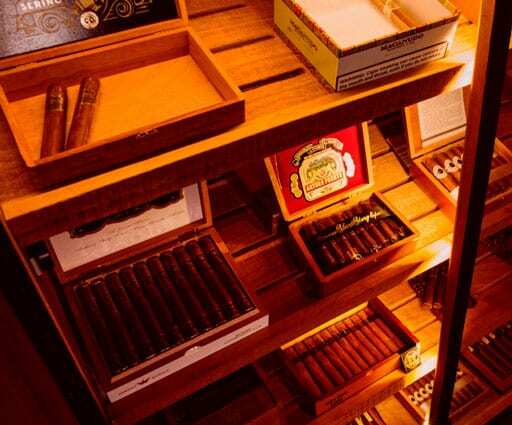 A standing humidor keeps our extensive selection of premium cigars at the perfect climate. So, whether it’s your first time or you’re a connoisseur, pick a stogie, kick back, and order a cold one, because this is a cigar bar with something to prove. Stay awhile and savor the sweet smokiness of the spirits and cigar selection at the Twin Peaks cigar bar. 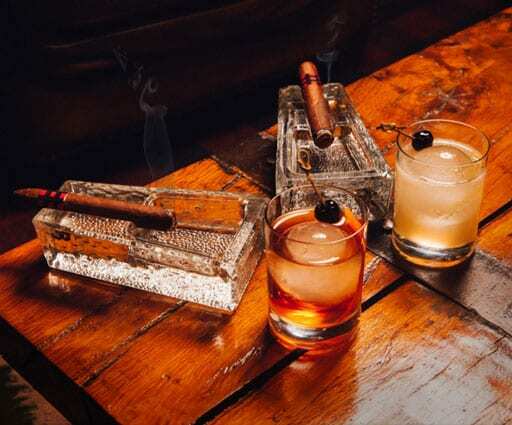 In fact, nothing pairs better with a slow-burning cigar, than a stiff, shaken or stirred whiskey drink. 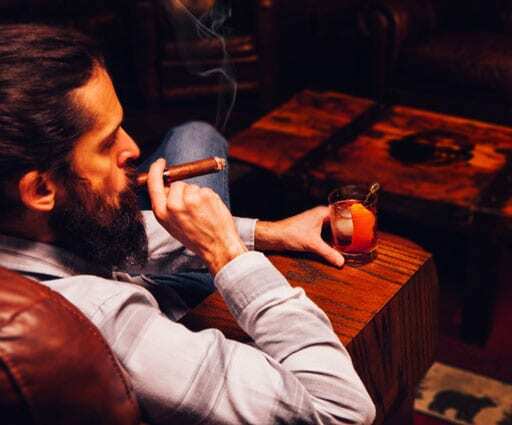 The Twin Peaks cigar bar swells with exquisite leather armchairs, a sense of sophistication, and enough leg room for even the largest lumberjack. So, prop your feet up, draw your cigar, and discuss your mid-season playoff predictions, because the Twin Peaks cigar bar is a man cave you can’t find anywhere else. Come inside, sit back, and sip on only the finest bourbons and spirited whiskey drinks like Twin Peaks signature Smoked Old Fashioned.